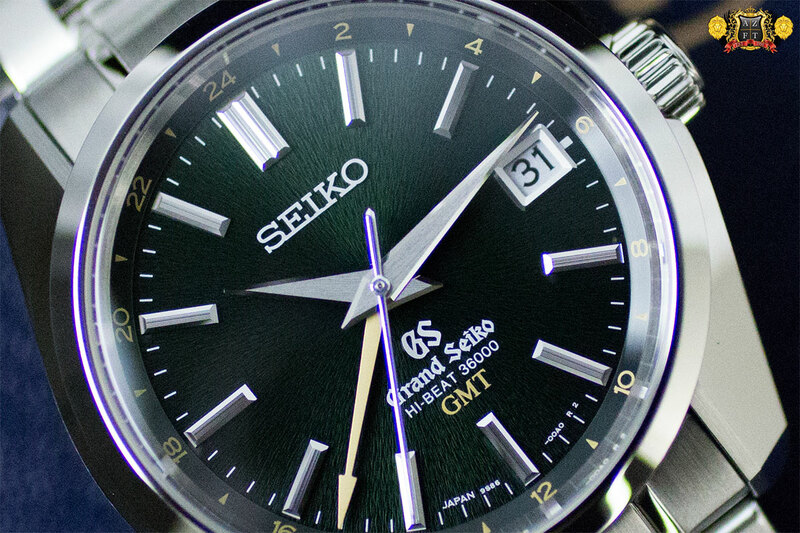 GRAND SEIKO ROADSHOW RETURNS TO ARIZONA FINE TIME ON 12/05/2014! 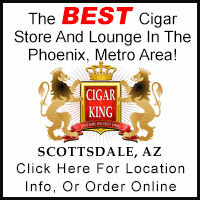 It’s that time of year and we invite you to join us as we host Arizona Fine Time’s 5th annual Grand Seiko Roadshow! Starting back in 2008, when Grand Seiko was still exclusive to the Japanese market, we hosted our first Roadshow with Seiko featuring Ms. Chitose Masuda from Shinshu watch studio in Japan, who was brought to our store to assemble Seiko’s innovative Spring Drive movement in front of our eyes for the very first time. 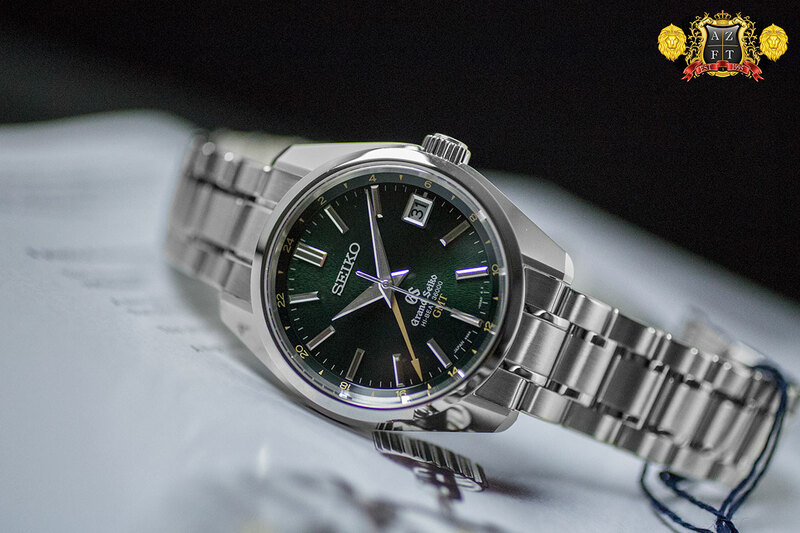 With all the amazement and incredible response we had, a new trend developed after Grand Seiko was released, bringing a Grand Seiko Roadshow to our store every year since it launched in 2010. We first met Mr. Junya Kamijo who not only assembled a 9R65 caliber, but was one of the first to introduce us to the SBGA011 Snowflake. Then, in 2011 Mr. Hideo Fukai, who assembled the 416 part 9R86 Spring Drive Chronograph GMT. The following year, we met our first Hi-Beat watchmaker from Shizuku-Ishi watch studio, Mr. Tsutomu Ito who assembled the 9S85. Last year we were revisited by Mr. Kamijo, who assembled the 9R86, while wearing his SBGC003. Seiko’s Galante brand was sold in Japan for nearly 8 years before it made its first presence in the US market. Introduced in 2005, the Galante series focuses on bold and unique designs, that cater to the fashionable and the “more then egoist” crowd, who still appreciate outstanding craftsmanship and mechanics. AZ Fine Time became the 1st authorized dealer for Galante in the states last year, with our first piece being the SBLL021, the FC Barcelona Limited Edition. Earlier this year, we saw our first Spring Drive GMT variation in the SBLA079, or the Blue Rose Limited Edition. Today, we are proud to bring you the first Spring Drive Chronograph model the SBLA081, otherwise known as the Snow Leopard Limited Edition. 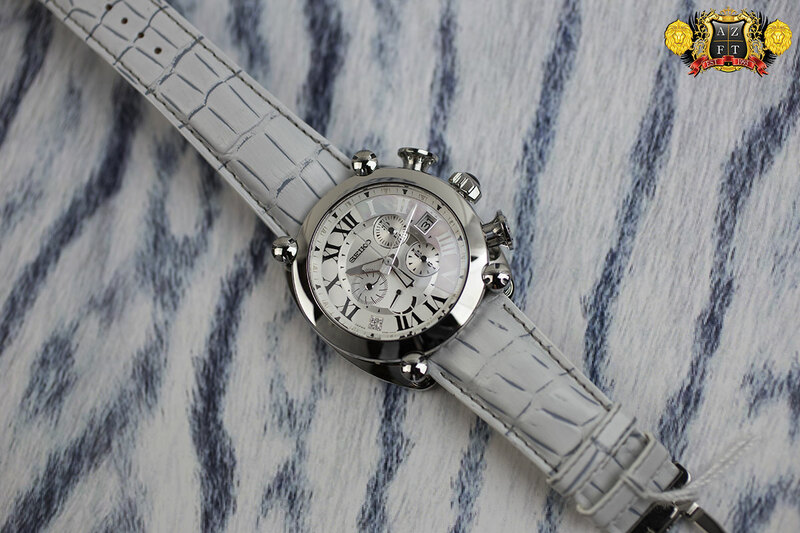 As stated in the name, the watches inspiration comes from the illusive snow leopard, not only in color of the design, but also in elegance and intelligence. The motif of white is expressed throughout the watch including the strap and dial, which represents the cool, calm and distant nature of the snow leopard. Black accents are found for the roman numerals 6-12 and every the even numbers on the 24 hour chapter ring for the GMT feature. There are also 2 shades of grey accents, the darker acting as guidance lines from the polished GMT hand to the 24 hour counter as well as the sub dials, and the lighter shade used for the unusual font of the even numbers on the 24 hour counter. 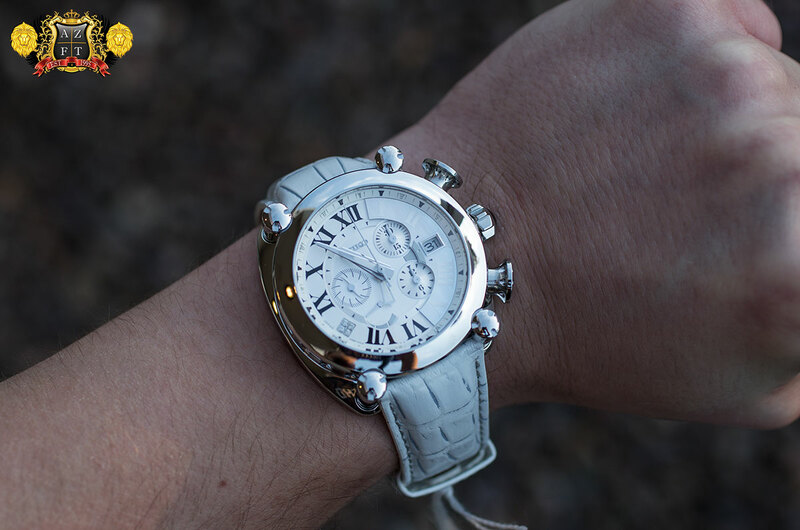 The roman numerals from 1-5 are white resting atop a vibrant mother of pearl layer expressing unique beauty, symbolic of the snow leopard. The dial itself uses a radial finish in the center, while the rest of the portion with the black roman numerals has a very subtle granite texture to it. 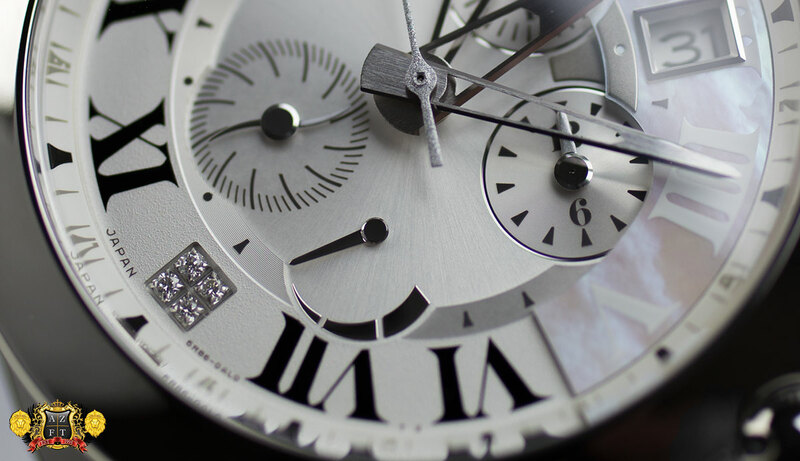 The center seconds for the chrono is also unique, with more granite texturing to is silvery hand, creating a semi-sparkly effect. As you will find on many Galante models, the dual sided continuous second hand at 9:00 is curved, as well the indexes the hands are gliding over. The case size is large at 44.4mm wide and 18.8mm thick. The cases design is the signature of the Galante brand, using four “pillars” (one at each of the cases lugs) in part of its assembly. The screws at the top of each pillar are what hold the case together, aside from giving it the unique design element. Throughout the series of Galante, you will find variations of case sides, mostly faceted and very distinct. The SBLA081 features what they call a “Coin Edge V Cut”. This extravagant layout has rounded edges giving a similar appearance to what would be a coin edge (like you might typically see on a bezel), but in a much larger scale. 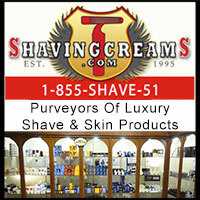 The “V cut” aspect is between each rounded edge, giving it the shape as described, a v cut facet between each groove. What adds compliment to this elaborate case design is the Zaratsu finish, giving it a mirror finish throughout the entire piece that can only be achieved by hand. Only a handful of craftsman are capable of accomplishing this technique. 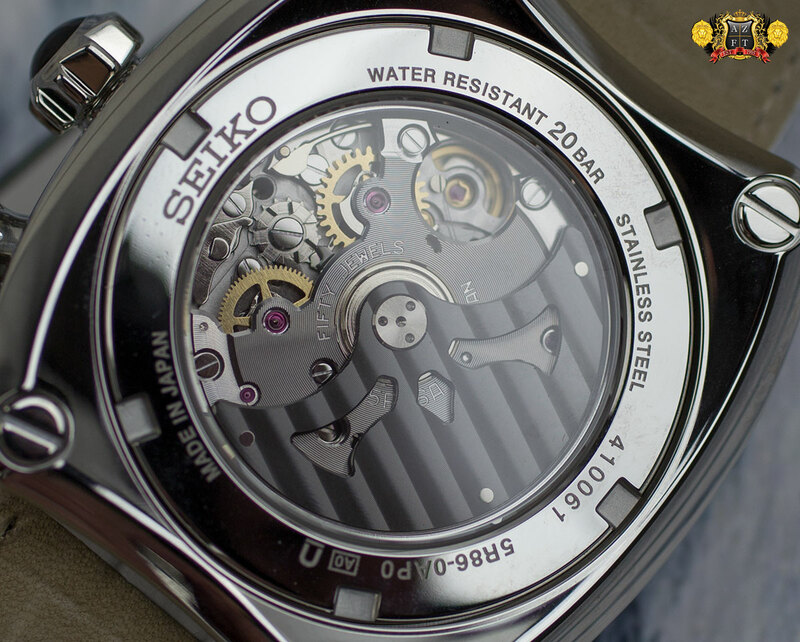 The movement used in the Galante Snow Leopard is Seiko’s in house manufactured 5R86 Spring Drive caliber. As we all know, Spring Drive has become coveted by collectors, proving its proprietary “hybrid” movement to be not only the worlds most accurate caliber driven by a mainspring, but also retains the artistry that collectors long for. 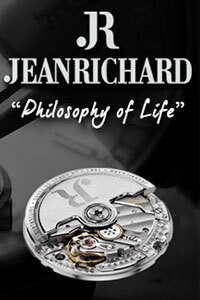 The 5R86 features a chronograph with vertical clutch and column wheel for optimal performance, GMT, 72 hour power reserve display, has an impressive 416 components, 50 jewels, and the astounding +/- 15 seconds per month accuracy rating thanks to its Tri-Syncro Regulator mechanism that replaces the traditional escapement with a quartz frequency regulated glide wheel that rotates only 8 times per second because of an electromagnet relaying the information from the quartz crystal. This ingenious feat in watch mechanics not only is extremely precise and consistent, but is also built by hand. Very few craftsmen in Seiko Epson’s Shinshu Watch Studio are capable of assembling these movements. Another note you may have already noticed is that the 5R86 movement found in Galante is not the same finish as other 5R86 movements. Galante has a unique gunmetal colored and striped rotor, with a unique ribbed pattern on the top main plate of the movement. 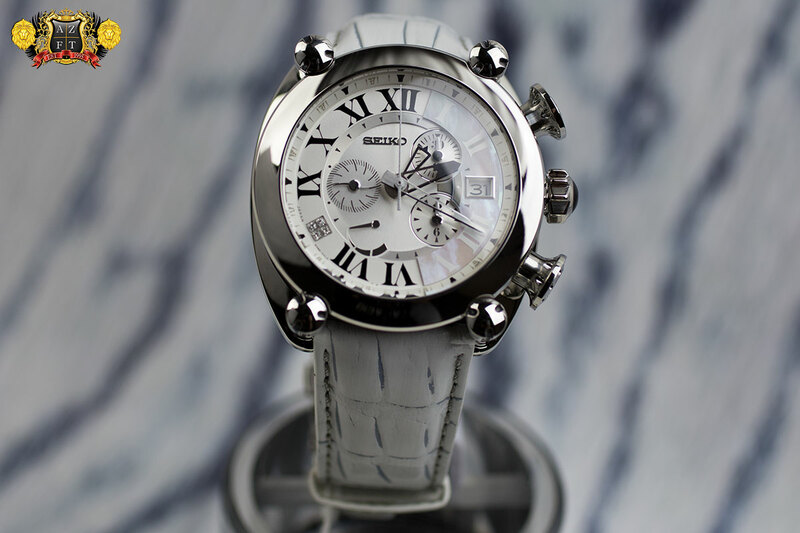 The rare Seiko Galante Spring Drive Chronograph Snow Leopard Limited Edition is limited to only 100 pieces for the world. These include a grey rubber strap with tang buckle as an option. The white strap it comes on includes a 3 fold deployment buckle, and as another option, AZFT will also include a black leather strap with deployment buckle to give another totally new look to this timepiece. The MSRP on this model is $9,800 and is extremely limited in the states. This year at Baselworld 2014, we laid eyes upon a beautiful new release labeled as the SBGJ005. While we knew little about this model at the time, this limited edition piece with a deep and dark green dial had us infatuated. It was not just the design, the color, or the fact that this piece was one of the first to feature a new movement out of Shizuku-Ishi Watch Studio, but also the influence of the environment surrounding Shizuku-Ishi. The SBGJ005 pays tribute to the 5 year anniversary of the Seiko’s introduction of the 9S85 Hi-Beat 36,000 bph caliber, by adding new complication to the already amazing movement. 2009 marked the introduction of the 9S85, which was the first Hi-Beat caliber put into production in over 40 years. Back in 1968, Seiko introduced their first 36,000 bph calibers in the 61GS which was self-winding, the manually wound 45GS, and the petit 19GS as a ladies model. The consistency of the high frequency vibration allowed for precise measurement with less effect from position and shock. A perfect attribute for Grand Seiko. Sadly, the Hi-Beat movements of the 60-70’s faded out as Seiko’s focus targeted the introduction of their quartz technology. The 2 factories producing Grand Seiko in the era of Hi-Beats were Suwa Seikosha, now Seiko Epson (SE) and Daini Seikosha, now Seiko Instruments Inc (SII). The 61GS was manufactured by Suwa, but the 45GS was produced at Daini. Today, SII is home to Shizuku-Ishi Watch Studio where all purely mechanical Grand Seiko’s are made, while SE focuses on Spring Drive and Quartz. 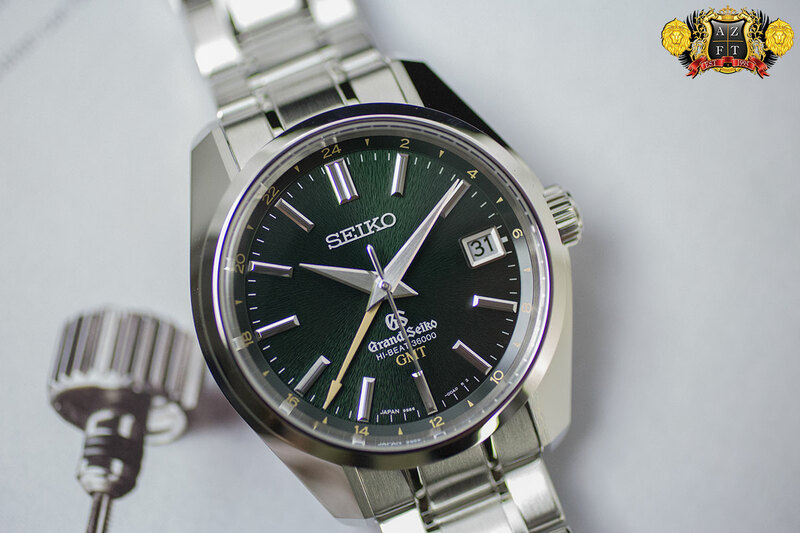 The 40mm wide stainless steel case design that utilizes flat surfaces and sharp angels to play off of light and shadow was inspired by Daini Seikosha’s (SII) first Grand Seiko from 1967, the 44GS. As you may know, the case is finished in the Zaratsu polishing technique, giving it a perfect mirror finish. With the influence of Shizuku-Ishi/Daini Seikosha behind it, the SBGJ005 honors the past, but also has influence by the natural surroundings of Shizuku-Ishi. Located in Morioka, the capital of the Iwate prefecture in Japan, the studio faces beautiful Mt. Iwate, which can been seen from the windows in the factory. The dark green dial with golden accents of the 005 is inspired by the summer trees on the slopes of Mt. Iwate. 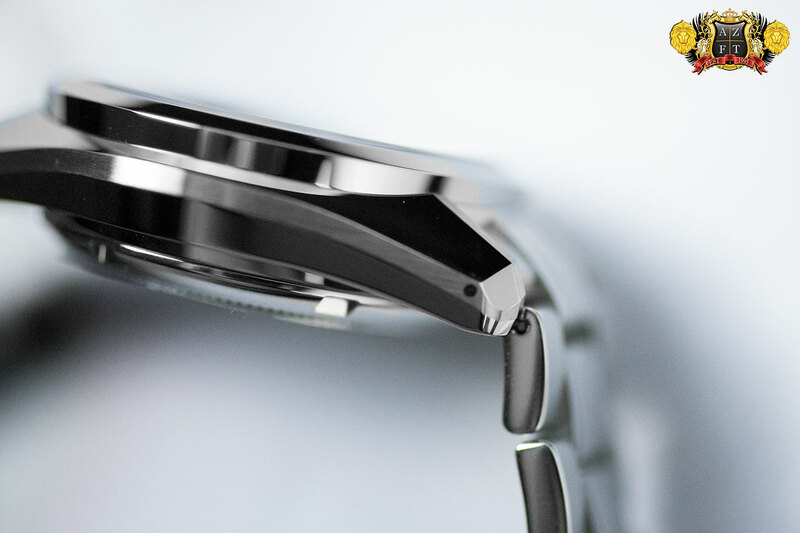 There is a subtle texture to the radial finishing on the dial, symbolizing the ridges of Mt. Iwate. 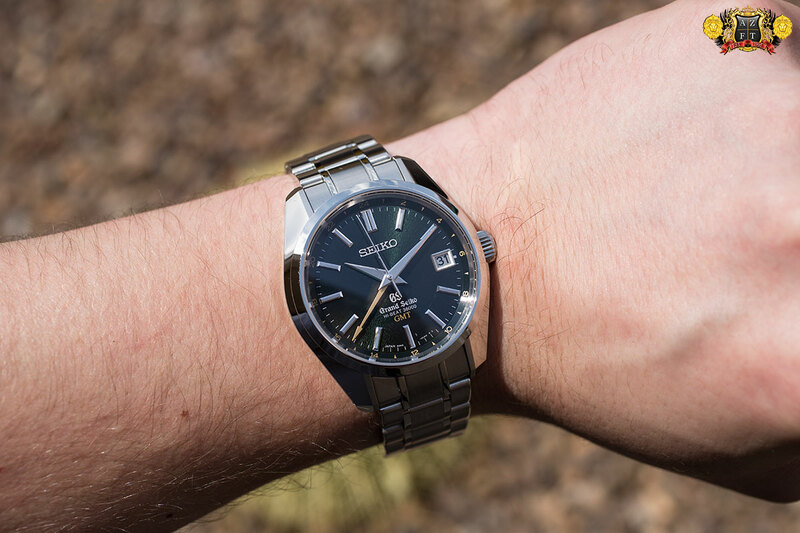 The expression of the natural surroundings around Seiko studios is something collectors have come to love. 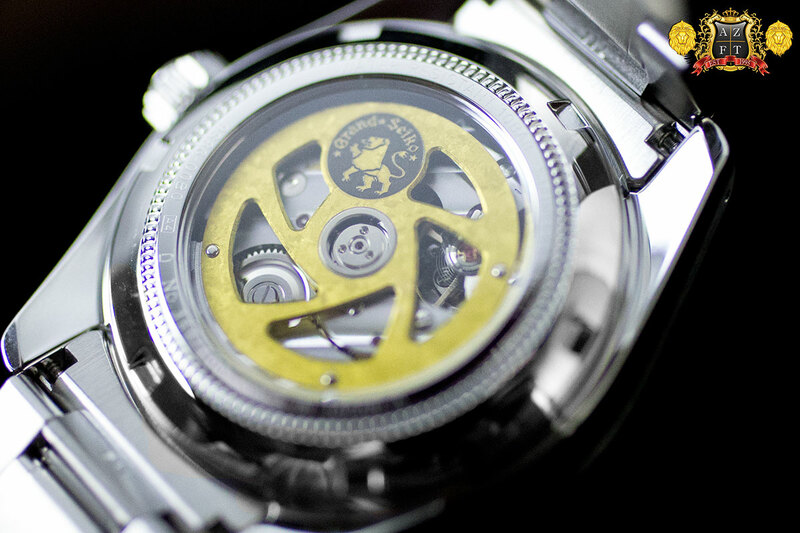 In a sense, the SBGJ005 is the reverse of the Snowflake SBGA011. Both the fact it is expressing summer instead of winter, and that it is made at Shizuku-Ishi as opposed to the Shinshu studio of SE. The introduction of the 9S86 caliber was indeed an exciting an exciting one. Now, the high frequency caliber is prepared for the world traveler, utilizing an independently adjustable hour hand as to not deviate the precise time keeping that the 9S86 is built for. 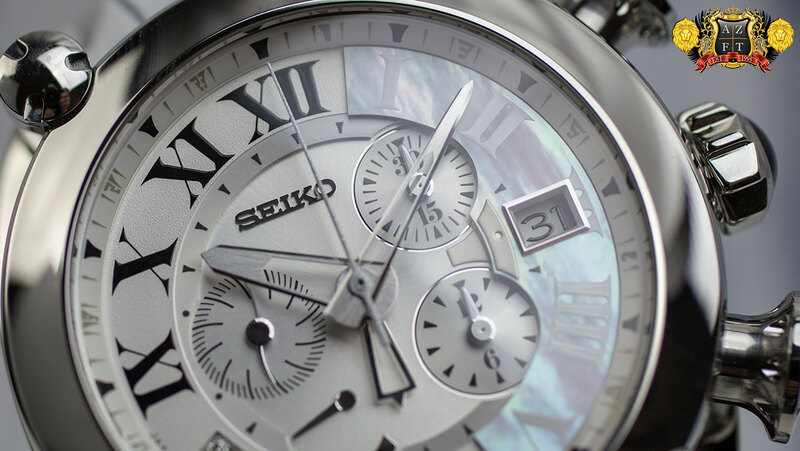 The 9S86 obviously has a rate of 36,000 bph, or 10 advancements of the second hand per second, but also has unique materials developed in-house by Seiko to ensure the stability and longevity, despite its high frequency. 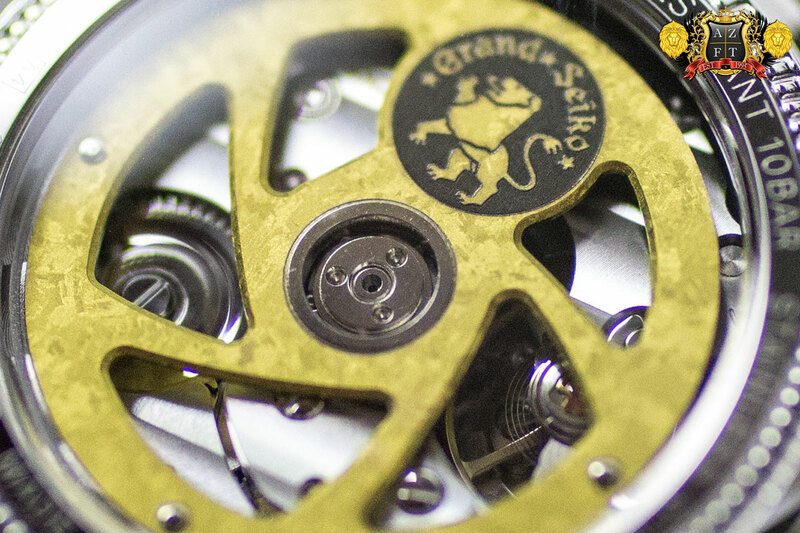 The use of he Spron 610 alloy for the hairspring ensures a high resilience. 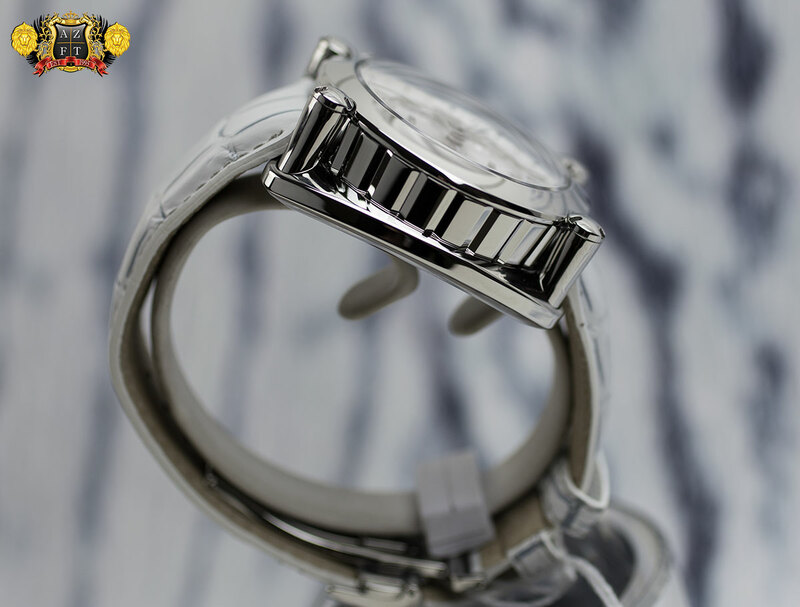 The use of the Spron 530 mainspring provides a 55 hour power reserve for the piece, even though the torque required is 1.5 times that of a standard 28,800 rate. With 37 jewels and only a select few craftsmen who can actually set the balance on the Hi-Beat calibers, the SBGJ005 has a unique rotor only found in this limited edition. The gold toned titanium rotor is weighted with tungsten for optimal performance, but also has a high shock absorption almost 10 times that of the more commonly used brass. The titanium is treated by anodic oxidation to create its gold tone with beautiful texture. As you will see, the striping decoration below the rotor is beautiful, and even the barrel for the mainspring is brought to a mirror finish. On top of all that, these also have Grand Seiko’s -3 to +5 second a day accuracy rating. 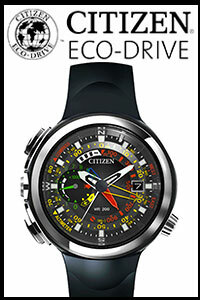 The SBGJ005 is limited to only 600 pieces for the world. Some of which have already landed here at AZFT (and already found homes), with the remaining balance to arrive sometime in September. The MSRP on this piece is $7,250. I feel it is important to share this video filmed at our 2012 Grand Seiko Roadshow, where one of the top Hi-Beat watchmakers (Mr. Ito) proved the resilience of the Spron 610 hairspring. 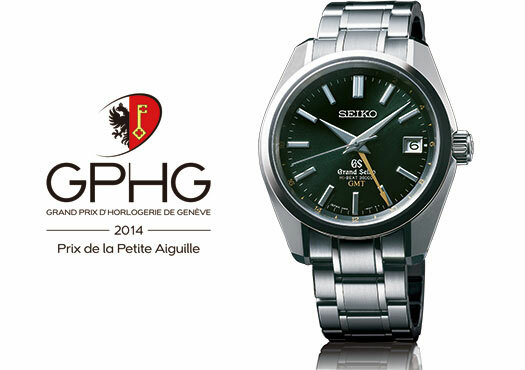 We’d like to congratulate Seiko on winning in the Grand Prix d’Horlogerie de Genève “Petite Aiguille” (sub 8,000 francs) category in Switzelrand for 2014! 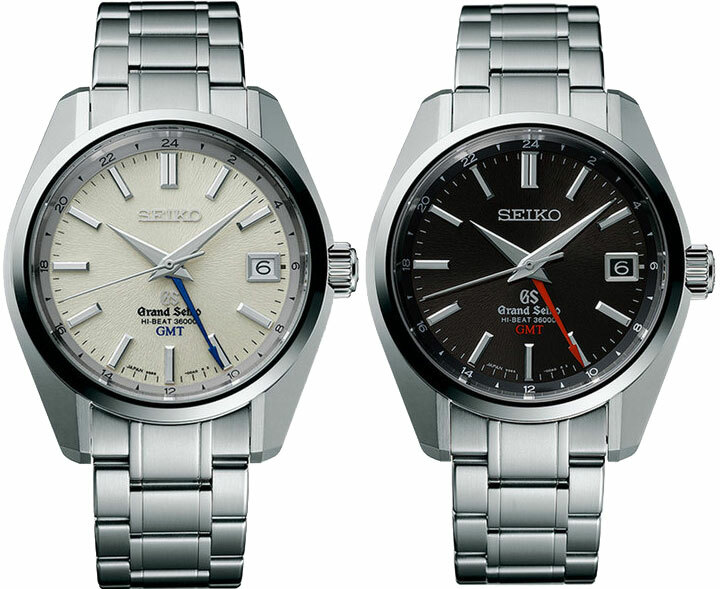 The SBGJ005 has some tough contenders, but Seiko took the award which was truly deserved. Sadly, the SBGJ005 is completely sold out, but thankfully, you can get this same design, movement and amazing quality timepiece in its sister models SBGJ001 and SBGJ003.